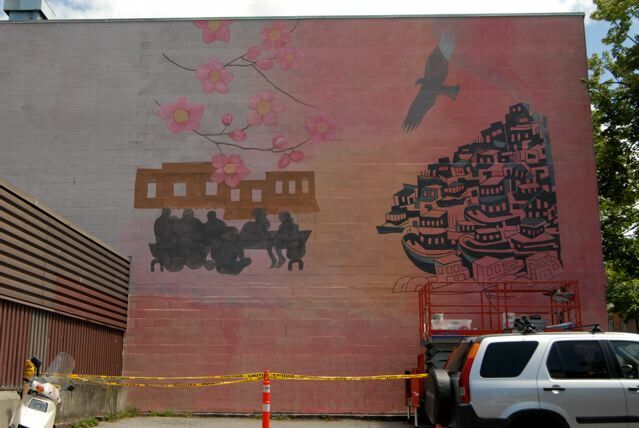 More than just beautifying a plain wall of St. James’s Cecelia House, supportive housing for those living with mental health issues, the mural incorporates symbols that refer to the rich history of the community. 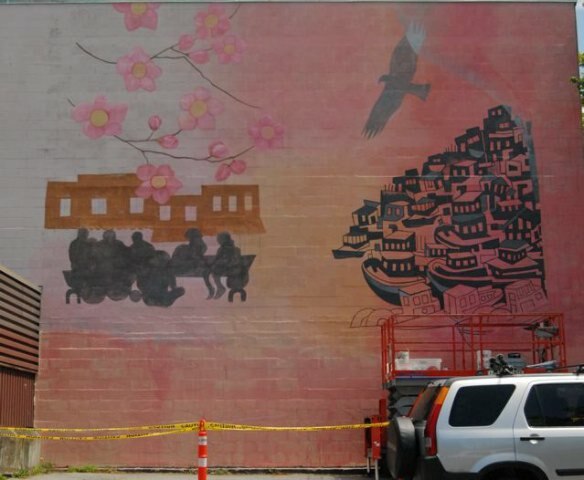 For example, fishing boats represent the Japanese who once fished and lived in this area, then known as Japan Town. 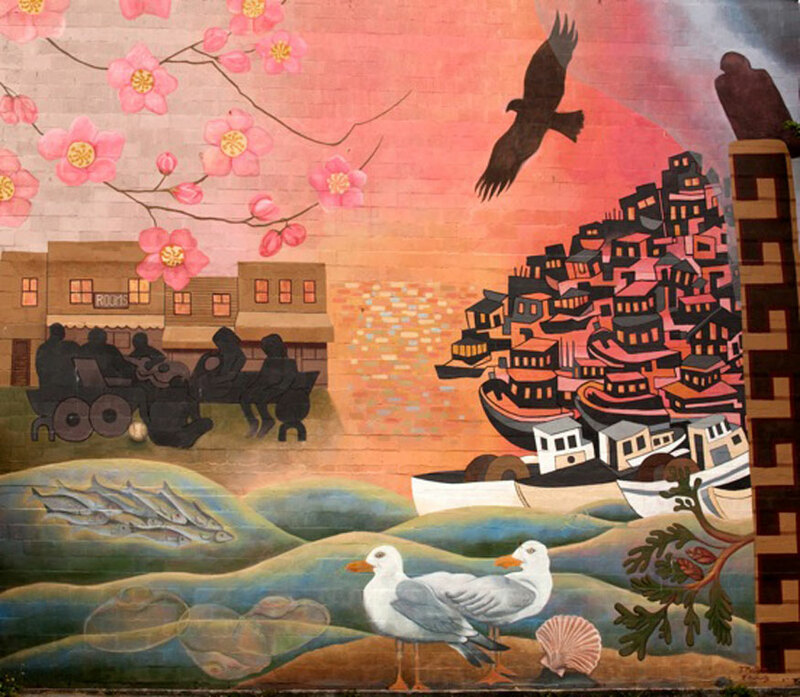 Shells represent the First Nations midden that is reputed to have once existed on the shores near what is now Crab Park, and a scallop shell in the mural’s bottom corner is a nod to St. James Community Service Society, which has a scallop shell in its logo. 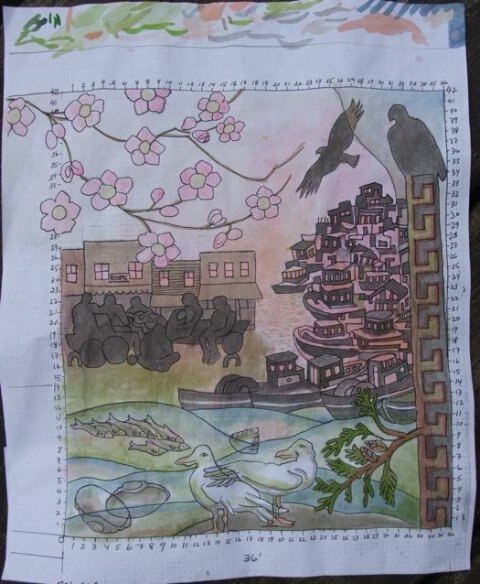 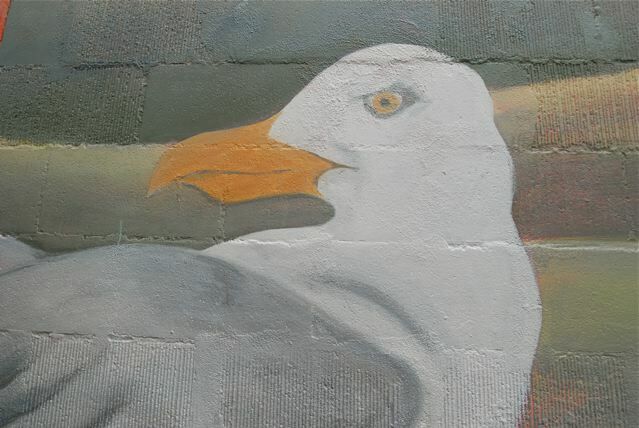 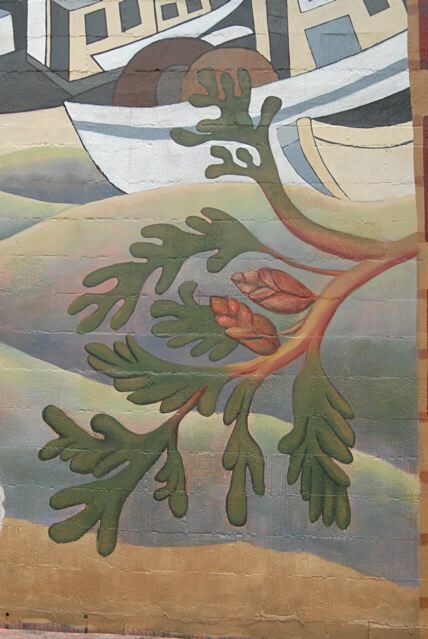 “The nature of the imagery in the mural design respects the historical and current-day activities that enrich the businesses and residences of the area where the wall is located. 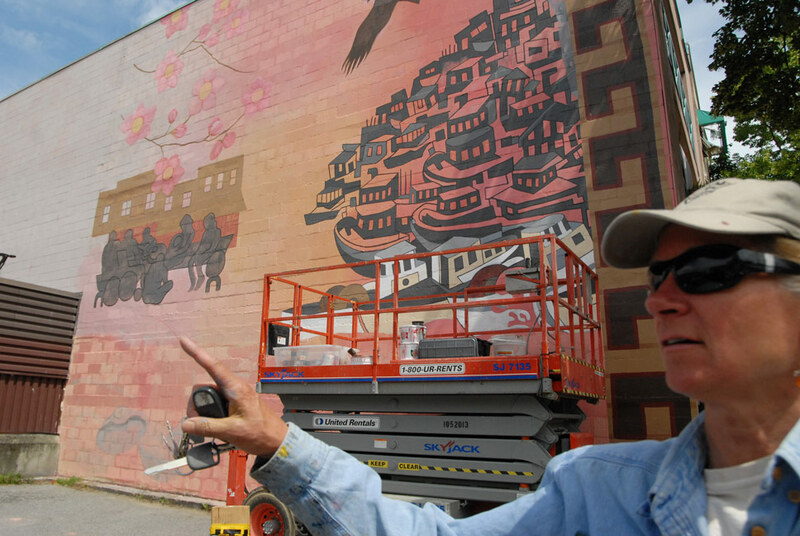 The mural will be seen by those living, working and visiting the community,” says the artist, Joey Mallett. 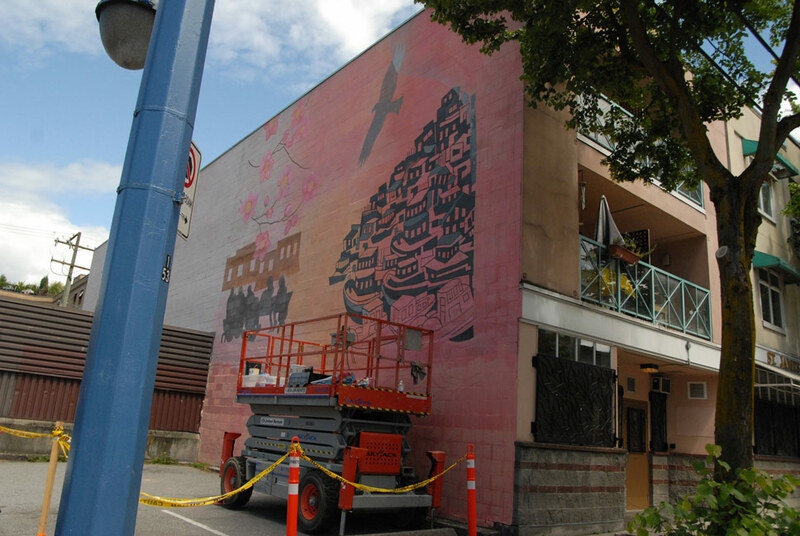 Improving the lives of vulnerable people in Vancouver’s Downtown Eastside is what St. James Community Service Society is about and has been about for fifty years. 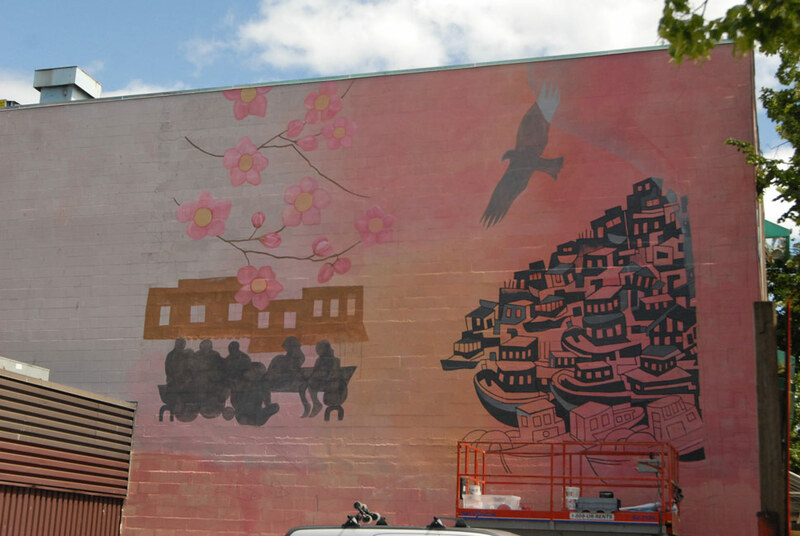 In keeping with this goal, SJCSS proudly unveiled, at the Powell Street Festival, a mural by Vancouver artists Joey Mallett and Rita Buchwitz.The mural, celebrates the diversity of this historic neighbourhood and the 50th anniversary of St. James Community Service Society. Created in partnership with the City of Vancouver’s Celebrate Vancouver 125 Mural Program and st. James Society. 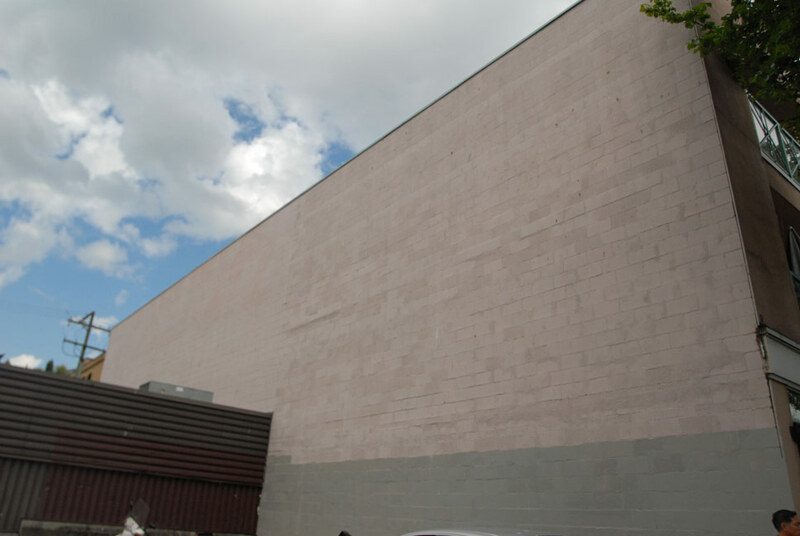 The Wall from Hyphen Communications on Vimeo.